Audrey Hepburn. 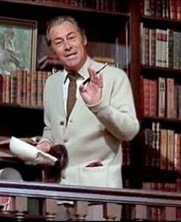 Rex Harrison. Gladys Cooper. Jack L Warner. Comedy. Classics. Musical. Oscar (Best Picture). Oscar (Best Female Lead). Hearing Impaired (DVD). BAFTA (Best Film). Oscar (Best Director). Guardian 1000 Must See (2007). Drama. Recommended. The amusing story of a cockney flower girl taken in by an elocution teacher and taught to mix with the aristocracy. An entertaining and escapist little story, with several classic catchy songs, which won Best Picture at 1964 Academy Awards. Shaw detested this lighthearted version of his play "Pygmalion".